From asking the hairstylist for “The Rachel” to taking lifestyle tips from Gwyneth Paltrow, we love to look to celebrities for inspiration in our own lives. So why not take a page out of Hollywood’s book when selecting an engagement ring? You may not be able to rival the jaw-dropping and bank-breaking carat sizes they flash on their ring fingers, but you can certainly echo the style, cut, and design. Here’s our top ten favorite celebrity engagement rings with tips on how to steal their look! Arguably the most famous engagement ring in the world, the Duchess of Cambridge’s engagement ring has done double duty, once gracing the finger of her mother-in-law Princess Diana. The 18-carat sapphire and diamond ring caused a stir when Diana chose it off the public market in 1981, rather than selecting a custom design. To replicate this ring, you’ll be looking for a sapphire as your center stone, rather than a diamond. If you want to keep the same look but change it up, try sapphires as your side stones, flanking a center oval-cut diamond in a halo setting. After seven years of dating and raising children together, Brad Pitt delivered with a custom-designed stunner for Angelina Jolie, working with jeweler Robert Procop for a year to get everything perfect. The ring features a 7-carat custom-cut emerald shaped diamond at its center, flanked by smaller emerald diamonds in a ribbed design that bring the ring’s total weight to 16 carats. Jolie’s ring was custom-made and you can get the same effect with a custom ring of your own. Start with an emerald-cut diamond at the center and then flank it with smaller baguette diamonds around the band. Or consider a split shank setting for a similar, but different look. Taylor Kinney proposed to Lady Gaga with a literal symbol of their love when he popped the question with a heart-shaped diamond on Valentine’s Day. Though her ring was customized with white diamonds spelling out “T <3s S” on the underside of the band, getting her look is as simple as selecting a ring with a heart-cut diamond on a simple solitaire band. With this ring, it’ll be anything but a bad romance. With her emerald gemstone engagement ring, Zoe Saldana has us greener than Gamora, her Guardians of the Galaxy character. A pear-shaped emerald in the rare cabochon cut sits at the ring’s center in a halo of micropavé diamonds. The emerald is framed by a trillion cut diamond on either side and pavé diamonds along the shank of the band. If you want a look like Saldana’s out-of-this-world ring, select a pear-shaped stone. If the emerald center stone is too nontraditional for you, consider sticking with a diamond center and accenting it with a pavé band of emeralds. Prince Rainier of Monaco proposed to movie star Grace Kelly with a ring fit for a princess. The 10.47 carat emerald cut diamond, flanked by two baguette diamonds, even got its own starring role on screen. In her last appearance on-screen in High Society (1956), Kelly played soon-to-be-married socialite Tracy Lord and insisted on wearing her own engagement ring, swearing to never take it off once it’d been put on her finger. You can look like royalty with a ring of your own, featuring an emerald-cut diamond in a classic baguette setting, a look made popular by both Harry Winston and Tiffany and now fairly commonplace throughout the industry. Beau Justin Timberlake popped the question with a vintage-inspired ring featuring the same timeless flair as his suit and tie. At its eye-catching center is a six-carat diamond, set off by two aquamarine side stones (Biel’s birthstone). 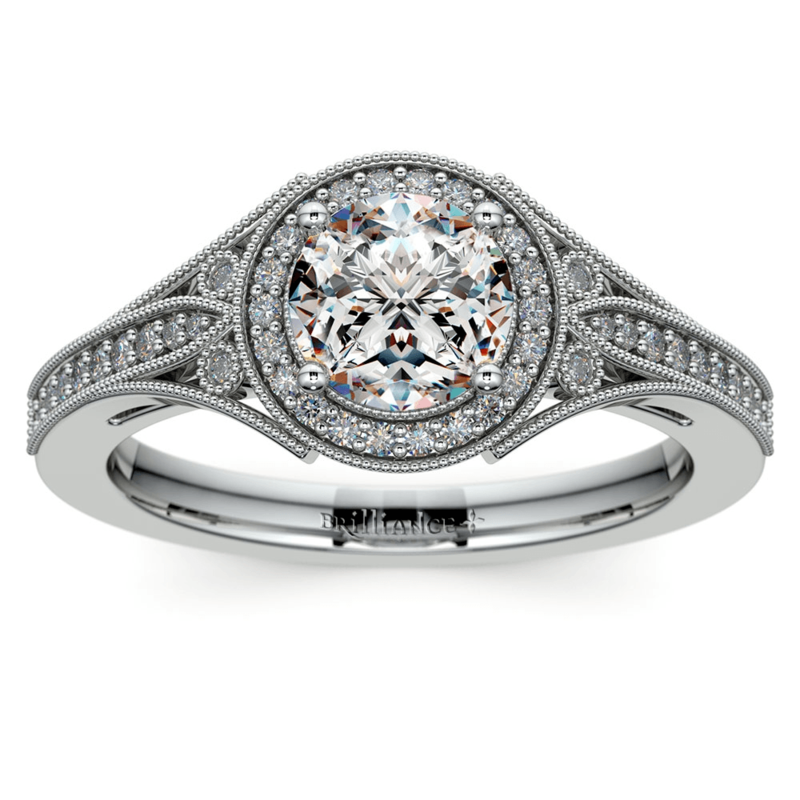 All of this is given a vintage flair with the addition of a double halo surrounding the center stone. If you’re wondering where to buy a vintage-inspired ring of your own, start with a radiant or cushion-cut diamond and place it in an Art Deco halo setting. Inspired by design from the 1930s, an Art Deco setting is a surefire way to give any stone some classic Hollywood flair. Consider customizing with side stones in your fianceé’s birthstone, and she’ll be in seventh heaven. The television star’s solitaire ring is as timeless and sweet as her love story with husband Josh Dallas, who plays Prince Charming to her Snow White on ABC’s Once Upon a Time. Goodwin keeps it simple with a round-cut stone in a solitaire setting, and you can easily do the same. Consider jazzing it up a bit with a different type of metal for the band or selecting a twisted rope or ivy diamond band. 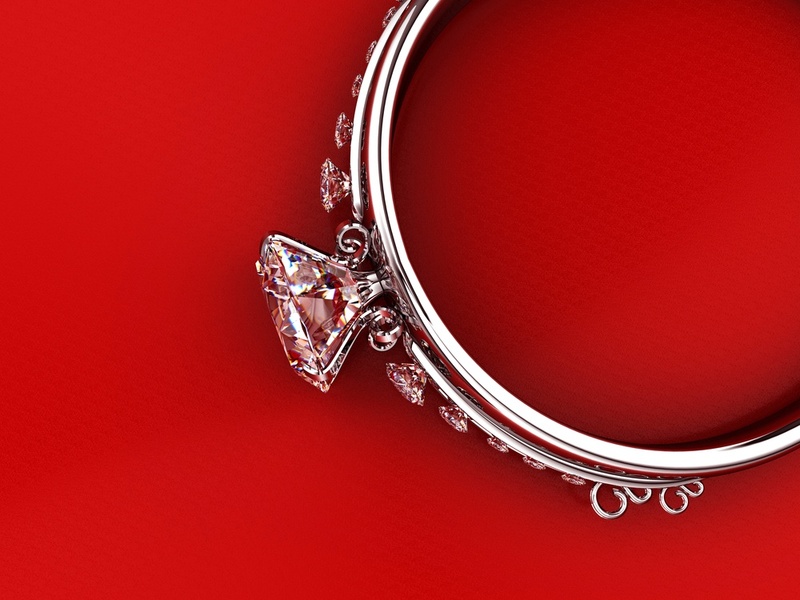 No matter what band you choose, you’ll have a ring straight out of a fairy-tale. 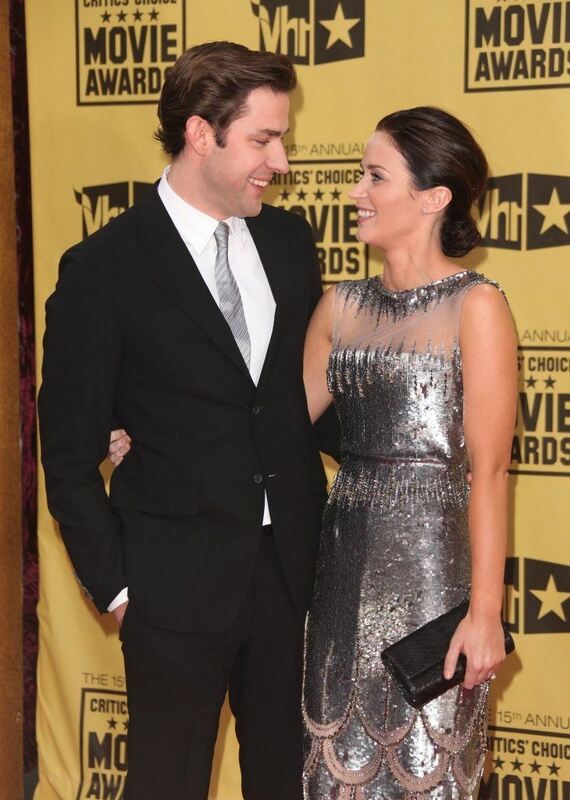 John Krasinski stole America’s heart on The Office, but he won British actress Emily Blunt forever with a Neil Lane 3-carat Edwardian ring. 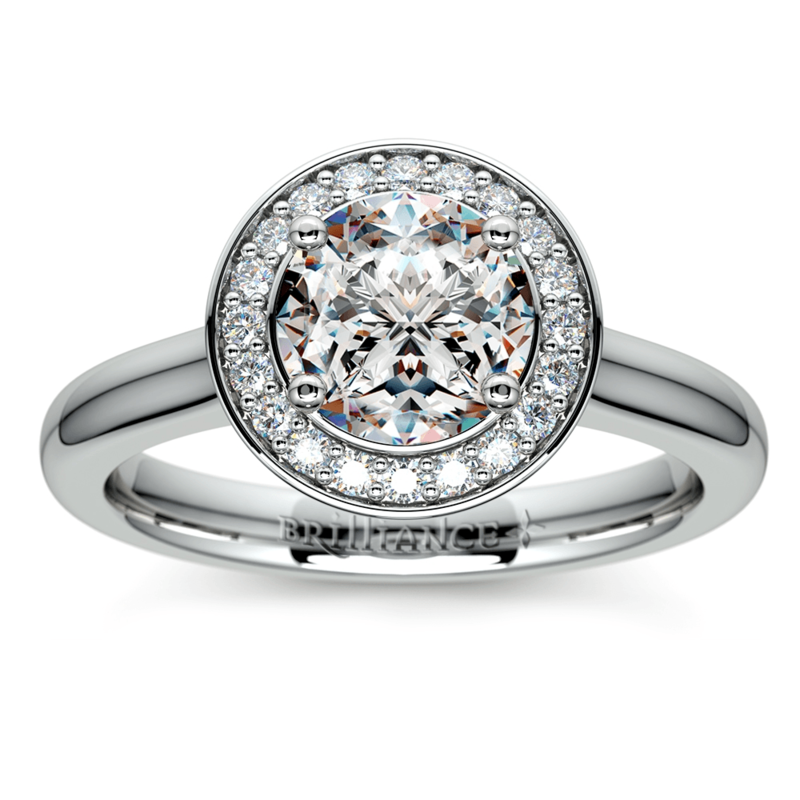 The ring’s Edwardian origins are perfect for the timeless Brit who rose to prominence playing a young Queen Victoria. It’s a challenge to replicate Blunt’s ring exactly, but start with a round-cut diamond at the center and consider a variety of intricate settings — an infinity twist cathedral style setting or a cross-split shank band will help bring some vintage flavor to your ring. Or try a different take on Edwardian-inspired jewelry with this antique setting. Though Bennifer version 1.0 fizzled out almost as quickly as buzz for their bomb Gigli, her pink-diamond Harry Winston engagement ring will live on in our memories forever. Affleck wowed fans and Jenny from the Block with this 6.1 carat emerald-cut pink diamond flanked by two baguettes that she graciously returned when their engagement ended. Pink diamonds are expensive and hard to come by, so consider an emerald-cut diamond flanked by pink sapphires or rubies as an alternative with similar flair if pink diamonds are a bit above budget. Married eight times to seven different men, Taylor amassed a museum-worthy collection of engagement rings from her cabochon sapphire ring from second husband Michael Wilding (which launched a sapphire craze) to her 29.4 emerald cut ring from third husband Mike Todd. But the most famous of all was the Krupp diamond engagement ring given to her by Richard Burton, the other half of the most infamous and tempestuous affair in Hollywood history. Of course, no one can hope to rival Taylor’s 33.19 carat ring, but you can certainly pay it homage. Taylor kept it simple with two side diamonds, letting the Asscher cut Krupp diamond speak for itself, and you can do the same with an Asscher cut diamond in an accent solitaire setting. Or if you really want that extra Liz Taylor oomph, consider an Asscher cut diamond in a halo setting or a halo split shank. Whether you prefer the simplicity of Ginnifer Goodwin, the vintage flair of Jessica Biel and Emily Blunt, or the glitz and glamour of Elizabeth Taylor, there’s a celebrity-inspired engagement ring that’s just perfect for ensuring a RomCom style happily-ever-after right before the credits roll.